The office of Dr. Todd Paczewski in Forty Fort, PA is excited to announce the launch of its new mobile-friendly website: https://www.drtoddsmileon.com. I was blown away by the simplicity and ease of use for the patients. All of the patients' needs are right at their fingertips, including aftercare instructions. This also acts as a digital business card for us. As "Dr. Todd," explains, "I was blown away by the simplicity and ease of use for the patients." The new website is equally accessible via tablets, smartphones, laptops, and desktops, and is packed with helpful information. Patients can easily learn about various dental procedures, read the doctor’s bio, find important details about the practice, book an appointment, and even download their new patient forms. Dr. Todd Paczewski is a premier general and cosmetic dentist serving the Poconos, Wilkes-Barre, and Scranton from his office in Forty Fort. Dr. Todd focuses on high-quality, personalized care and long-term doctor-patient relationships. He earned his DMD and a master's in business administration from Temple University in 2001. Dr. Todd is passionate about continuing education, and he takes numerous advanced courses in dentistry each year. In his free time, he enjoys coaching soccer, baseball, and basketball. Dr. Todd is committed to patient education, and he believes that his new mobile-friendly website is an excellent tool to help him meet this goal. "All of the patients' needs are right at their fingertips, including aftercare instructions. This also acts as a digital business card for us," says Dr. Todd. 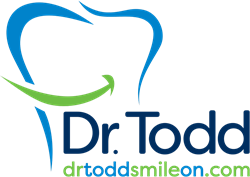 Dr. Todd provides a full line of general, cosmetic, restorative, and periodontal dental services. To learn more or request an appointment, call 570-287-2500, stop by the office at 1500 Wyoming Avenue, Forty Fort, PA 18704, or visit the new website at https://www.drtoddsmileon.com.